Teaching golf is not a one-way activity. One learns by teaching it. Percy Boomer shares his experiences as a golf teacher in the articles below. 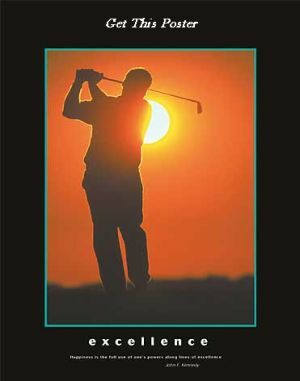 And even if you're not a golf instructor... even if you are just a weekend golfer, you can improve your skills by repeating and teaching what your instructors teach you, and whatever other drills, tips and techniques you learn from sites, books and videos. One learns by teaching others. There is no doubt about it. I often find that to be the case when I teach my kids what I know, what I learn, what I've read about golf. That's when the "blind spots" become more obvious, and that's when I find what parts of my understanding of a given area of golf need more work and review.